The rise of psychiatry was funded by America’s Gilded Age industrialists. Their aim: to cast society’s ills as problems of individual "mental health." In October 2017, Trump’s Department of Health and Human Services declared a public health crisis over what is widely termed the “opioid epidemic.” The 500 percent rise in opioid-related deaths since 1999 is related to a complex set of social and historical factors, from childhood adversity to chronic poverty in postindustrial rural towns; the retreat of social services that work to buffer at-risk individuals; ongoing wage depression; decayed infrastructure; and the corrupt pharmaceutical oligopolies that have subsidized physicians to prescribe painkillers. The Trump administration’s announcement of a federally funded opioid strategy to deal with the “epidemic” draws on a longstanding and bipartisan consensus that understands mass addiction in impoverished communities as just one expression of a national — or indeed, global — “crisis of mental health.” Hillary Clinton’s 2016 campaign was widely praised for its mental health platform, crowned by a prevention initiative designed to combat the highest suicide rates on record. The medicalized lexicon of “mental health” purports to cover a vast terrain of everyday experience. According to a report from the World Health Organization, rates of major depression worldwide increased by 18.4 percent globally between 2005 and 2015, reaching 322 million sufferers. Psychiatric epidemiology demonstrates rising levels of psychological stress, anxiety among high-schoolers, major depression (diagnosed roughly twice as often among women as among men, and on the rise globally); “hopelessness” in undergraduate populations; and PTSD rates among civilians that exceed even those found in veterans from Iraq and Afghanistan. This medicalization has made the language of “mental health” sacrosanct across the political spectrum, even on the left. Yet the idea that population-wide rates of despair and social dysfunction should be understood as biological diseases, rather than the result of rampant class inequality and miserable labor conditions, is hardly self-evident. In fact, it has a highly political history. Institutionalizing it as a consensus required complex coordination between medical leaders and the big industrialists who backed their initiatives. The invention of psychiatry in the early twentieth century was spurred by the need to find an idiom in which social problems could be considered as medical problems best managed by scientific experts. Thus, if the language of psychiatry and mental health seems designed to offer a conceptual and explanatory panacea to the chronic despair of today’s “New Gilded Age,” it is precisely because it was invented amid the staggering wealth inequality of the first Gilded Age. The idea that population-wide rates of despair should be understood as biological diseases, rather than the result of rampant class inequality and miserable labor conditions, is hardly self-evident. In the era of Prozac and its critics, it has become commonplace to frame the story of the development of the psychological sciences as a war between biological and psychological explanations for mental disorder. What this historical misreading fails to account for, however, is that from the outset psychiatry was based on skirting this divide. It instead placed both under the rubric of what was dubbed “dynamic psychiatry.” The real struggle was to institute a domain of medicalization that would be managed by depoliticized scientific expertise. The creation and institutional dissemination of psychiatry was only possible with the extensive financial support of Gilded Age industrial capital, most notably the Rockefeller Foundation. The origin story of psychiatry is thus one of industrial capital investing a portion of its stupefying profits, not into the production of goods, but into the institutionalization of a new form of knowledge, one that could produce a consensus around the medical character of social ills. The idea of mental health took hold in the first three decades of the twentieth-century United States not so much because it was an idea whose time had come, but because of the threat presented by fulminating radical socialist thought. At the turn of the twentieth century, US elites were drunk on wealth, even as they panicked at the specter of violent social revolution. Their paranoia was not entirely unfounded. The decades following the Civil War were a period of capitalist accumulation that by 1900 resulted in the top 1 percent of households owning 51 percent of the nation’s wealth; the bottom 44 percent owned only 1 percent. Menaced by falling rates of profit, industrial capitalists and bankers after 1865 began a transition from laissez-faire competition to industrial monopolies, trusts, and mergers, in an attempt to artificially raise profits by controlling prices. This transition from industrial to finance capitalism subjected ordinary workers to the frenzied boom and bust cycles of speculative capital. It relied heavily on the expansion of consumer credit and debt, making ever-greater tranches of the population vulnerable to the convulsions of financial markets. The nation roiled with class warfare. Class politics in the post–Civil War period were largely articulated via recurrent populist crusades. These movements were mostly comprised of farmers, tenants, and small proprietors, loosely if pugnaciously affiliated around resistance to the banking rackets’ entrenched interests in maintaining high interest rates and keeping the currency wed to gold backing. By the turn of the twentieth century, one third of all small farmers were mortgaged at dizzying interest rates. 70 percent of the nation’s labor force had been transformed into landless wage earners with no delusions of achieving financial independence from the industrial and financial oligarchs. The chasm between the increasingly desperate position of deskilled labor — subject, with the introduction of Taylorism, to ever-more tyrannical control by management — and the gilded excesses of the speculative and industrial elite was obvious, most of all to the swelling ranks of the landless and precarious wage earners packed into the squalid flophouses coating the underside of the industrial cities. The manifest antagonism of interests between Gilded Age capital and labor caused a proliferation of increasingly radical labor organizations, among them the Industrial Workers of the World (IWW), the Knights of Labor, and the American Federation of Labor (AFL). The period between 1870 and 1905 witnessed over thirty-seven thousand strikes. Flailing to control working-class militancy, industrialists turned to armed scabs and police terror to break labor in bloody confrontations like the Haymarket Riot (1886), the Coeur d’Alene Silver Mine Strike (1892), the Pullman Strike (1894), and the Ludlow Massacre (1914). Elites were alarmed by the spate of new social pathologies resulting from these social and demographic changes. By 1910, vagrancy, homelessness, and begging were rampant in urban centers. Chicago alone had up to seventy-five thousand homeless men in its streets and flophouses in 1923, and a 1915 government survey estimated the total number of “unemployables” nationally at five million, growing at a rate that eclipsed the general population increase. Divorce, or abandonment — the “poor man’s divorce” — rose to a rate of 20 percent of households in metropolitan areas by 1930, swelling the number of women and children requiring state or philanthropic support. The dissolution of local or traditional kinship care networks was directly implicated in the seismic increase in the number of persons requiring care in asylums, whose inmates multiplied from 74,000 in 1890 to 150,000 in 1904, and over 267,000 by 1922. By 1920, the total cost of care for those labelled “insane” was estimated to exceed that of all agricultural production, with Americans diagnosed as “insane” growing at double the overall rate of population increase. In short, by the first decade of the twentieth century, it was clear that the nation was in crisis. The question was a crisis of what? Faced with this question, the newly formed discipline of psychiatry would ally with Gilded Age elites and New Liberal political philosophy to argue that this turmoil could be solved by understanding the vast array of social ills as problems of mental health. If we want to understand the conditions under which “mental health” was proposed as the total cure for the United States’ ills, we need to grasp the dominant forms of political thought that emerged as part of the new liberal consensus. To the ills of a nation riven by class conflict and plagued by social ills, Progressive Era “New Liberals” offered a prescription of harmonious social integration. This vision of society as an integrated organism was to be guaranteed by the “emotional adjustment” and “mental health” of the individual. Its success would be secured through the benevolent rule of technocratic experts, trained and housed in the nation’s freshly minted university system. Faced with the twin specters of social breakdown or a revolution of the strain developing in Russia, turn-of-the-century liberals embarked on a political project anchored in a redefinition of democracy. Here, the fundamental unit of politics was not the property owner, but the psyche. This political-philosophical outlook put aside the question of ownership (or not) of property, and instead prioritized the individual as a psychological entity, always conditioned by cultural habits and considered in relation to a cohesive social group unfractured by class conflict. Thus, the New Liberals performed a kind of magic trick: by waving the wand of psychiatric technocracy over a scene of profound economic inequality, they transformed the subject of politics from the property-owning citizen into a freshly politicized psyche. The New Liberals performed a kind of magic trick: by waving the wand of psychiatric technocracy over a scene of profound economic inequality, they transformed the subject of politics from the property-owning citizen into a freshly politicized psyche. Habit is thus the enormous fly-wheel of society, its most precious conservative agent. It alone is what keeps us all within the bounds of ordinance, and saves the children of fortune from the envious uprisings of the poor. It alone prevents the hardest and most repulsive walks of life from being deserted by those brought up to tread therein. It keeps the fisherman and the deck-hand at sea through the winter; it holds the miner in his darkness, and nails the countryman to his log cabin and his lonely farm through all the months of snow; it protects us from invasion by the natives of the desert and the frozen zone . . . It keeps different social strata from mixing. This elevation of the unconscious conditioning of the individual over freedom of choice provided the basis for the second key difference that separated the New Liberals from earlier social philosophy. While older positivist social theory (like that of Emile Durkheim) held that something called “society” exerted an inexorable force on the individual, New Liberals thought it was possible to engineer society itself through scientific principles. If the individual was shaped by the unconscious processes of habit formation, then the best tactic for social control was not in outright force (of the sort witnessed in bloody labor confrontations) but in changing individuals’ education and environment so as to inculcate social consensus. Accordingly, the political theater should be located in the psyche of the individual, one evolving dynamically in his or her environment, taking on habits that could be engineered by the elite, university-trained technicians of social order. The idea of social consensus was the New Liberals’ third major innovation on older forms of political thought. Previous political economy recognized competing interests (either between classes or between property owners) as creating intrinsic, constitutive social factions whose necessarily clashing positions were mediated through politics. The New Liberals rejected the notion that society was fundamentally fractured, instead understanding society as a harmonious whole comprised of a division of labor and social roles. As a result, the question of American democracy was not a matter of ensuring equality of property, but of ensuring psychic buy-in to the social system, in which every individual would find their “natural place” to which they were best suited by habit. The New Liberals thus put the individual psyche and emotions at the center of their vision of democracy. In replacing the question of property with that of the “personality” or psyche, they pivoted from a positive definition of freedom (e.g. freedom to pursue equality of property) to a negative one: freedom from the “emotional disturbances” that result in the individual’s failure to buy into a social harmony based on varying personal roles. But how was this social consensus to be achieved? The New Liberals’ vision claimed to apply truly scientific principles to the management of social ills. This was American psychiatry’s promise to the US ruling class: a universal science of the individualized psyche that could guarantee the emotional adjustment of each person to their role in the social order. The emergence of US psychiatry rested on a collusion of interests between New Liberal elites, the industrial and financial ruling class, and the visionaries of a then-nascent psychiatry in search of institutional support. In psychiatry, New Liberals and the ruling capitalist power bloc found a way to medicalize politics, facilitating social control and securing buy-in to ideological consensus. For their part, philanthropist industrialists provided psychiatrists with the massive infusions of funding necessary to institutionalize the discipline. The unifying goal, suiting all of these parties, was to reframe social and political problems as a question of biomedical disease, best managed by the freshly anointed princes of the psyche — the psychiatrists. At the beginning of the twentieth century, psychiatry as a unified profession did not exist. The care of asylum-bound patients was the purview of physicians called “alienists,” who shared little in common with either private physicians or neurologists. Within the hospitals, those diagnosed insane were confined, but there was little by way of active treatment, and the sort of insanity that required institutionalization was seen as distinct from the problems of everyday life. The man who endeavored to create psychiatry as a discipline was Adolf Meyer, trained in German universities in experimental psychology and eager for financial support to institutionalize his vision. This vision was nothing less than the creation of a universal science of the mind, oriented precisely to the political aims prescribed by the New Liberals. Born and trained as a neuropathologist in Switzerland, Meyer emigrated to the University of Chicago. There, he was profoundly influenced by New Liberal functionalism as propounded by its high priest, John Dewey. As historian Jack Pressman has shown, in the creation of what he called “psychiatry,” Meyer had two aims. The first was to transform the psychiatrist’s role in caring for the chronically insane housed in the nation’s asylums, from ineffective custodianship to active scientific treatment. The second was to expand the psychiatrist’s remit from the asylum alone to the entire sweep of society. Meyer wanted to move psychiatry beyond the asylum walls by emphasizing the connection between the problems of the chronically insane and the problems of everyday life. These, Meyer argued, were shades of the same fundamental problem: namely, that certain individuals were unable to adjust to their roles, as dictated by the harmonious social whole. The goal of psychology on a biological basis is to help people find their place in nature and the social fabric, to get visions of achievement rather than destructive propaganda a la class-consciousness and class emphasis, to cultivate cause for confidence rather than juvenile chafing and suspicion of interference where we really want the right kind of order and self-regulation, to attain poise and satisfaction under a creative rather than violently revolutionary regime. Meyer’s work of medicalizing social problems required massive financial investment from the US state, the military, and from private industrialists. The new discipline’s first windfall was the Great War. The new generation of psychiatrists treated the proliferation of head injuries coming from the front side-by-side with emotional trauma and shellshock, demonstrating their thesis that all mental problems had a common basis. By the end of the war, psychiatric medical experts had ever more opportunity to peddle the direct importance of their expertise for managing social affairs. [It is our] unanimous opinion that psychiatry is not an art or a science confined to the study and treatment of mental disease, whether it be psychosis, psychopathy, psycho-neurosis or defect . . . It is exactly the psychiatrist’s proper business to take over the problems of mental adjustment that are so immediately and overwhelmingly involved in the problems of personality, of family, and other social maladjustment, of misconduct, of vocational dissatisfactions, of educational misfittings in primary and secondary school or college. In short, the problems the new psychiatry aimed to solve were a medicalized gloss on the political problems of society itself. The end goal was always to fix the purview of psychiatry as that of the normal rather than the pathological: the pathological was to be located within the realm of normal life, not distinct from it. By 1920, this goal was largely secured. But the creation of psychiatry had required a massive, two decade-long reorganization of the asylum system. It relied on the integration of the nation’s new university system with newly created forms of psychiatric hospitals, designed to bring psychiatry into the heart of daily life. Guided by Meyer’s leadership, the first two decades of the twentieth century saw a great expansion of the categories of mental disease — labels used to include ever greater types of social deviance — and a proliferation of “borderline” categories that expanded the scope of traditional asylum classifications. The psychiatric hospital’s role was recrafted: once sites of internment for the chronically insane, they now became sites treating those who experienced non-chronic problems of adjustment. Under the auspices of the maladjustment paradigm, Meyer set out to invent a system of psychiatric care that would target the pathologies of the everyday. The flagship institution of this effort would be the establishment of what were called psychopathic hospitals. While asylums were largely custodial warehouses for the intractably and chronically insane, the psychopathic hospital would be used to treat maladjusted personalities through short-term stays. The psychopathic hospital was the crown jewel in Meyer’s New Liberal psychiatry, combining university research and active treatment, predicated on the notion that, in the words of historian Christine Shea, “mental disease was the cause of society’s ills spanning criminality, prostitution, labor troubles, urban riots, and juvenile delinquency.” Psychopathic hospitals were quickly integrated into systems of juridical and social control, working in tandem with juvenile courts, the Prison Commission, the Industrial Accident Board, and the Immigration Board. In short order, the new psychopathic hospitals were seeing large turnovers of patients: only one year after opening, the Boston Psychopathic Hospital was seeing over ten thousand patients per year. By 1915, psychiatry had succeeded in inserting itself into the previously political spheres of policing, prison, welfare, and public assistance. Yet it still had to establish itself as a bona fide science within academic institutions. Industrial philanthropy was decisive in this cause. Indeed, psychiatry in its present form would not exist without the patronage of the Rockefeller Foundation, a system of philanthropic trusts founded in the second half of the nineteenth century in order to shelter the Rockefellers’ profits from taxation. In 1914 the Foundation was rattled by the Ludlow Massacre, in which two dozen striking miners, along with their wives and children, were killed by the National Guard at the Rockefeller-owned mine. In the wake of this bloodshed, a Foundation seeking a new gospel of social harmony turned from the mere “emotional humanitarianism” of charitable support for the poor into a powerhouse that could help enshrine the New Liberal social sciences. Its director and program officers quickly realized that psychiatry, and its central paradigm of adjustment, would be the best wager for disseminating a new common sense founded on scientific principles, which could build social harmony and stave off working-class discontent. The Foundation’s first foray into mental health was a cooptation of the United States’ first major movement for asylum reform, a grassroots effort led by the young Clifford Beers. Trained at Yale, Beers had a nervous breakdown in 1900 that resulted in a three-year confinement in an insane asylum. On his release, he began an impassioned campaign to remedy the unimaginable misery and abuse he had seen. His memoir A Mind That Found Itself quickly became a bestseller, igniting public outrage at the treatment of the insane. Beers knew that he would need to coordinate support from the nation’s leading experts in medicine and psychology to ally with the popular campaign for reform. By 1907, he had assembled the National Committee for Mental Hygiene (NCMH), an organization he intended to focus on the treatment of those shuttered in the nation’s asylums. The NCMH needed more financial support than was available from small donations from sympathizers. It received a five-year grant from the Rockefeller Foundation, brokered by Adolf Meyer, to continue its work. But while Beers was convinced that the NCMH’s role should be to collect surveys on the treatment and condition of chronic and severely insane patients, the Foundation quickly reoriented the Committee’s activity to focus on gathering information about the psychopathologies of “maladjustment” in the general population. As historian Christine Shea has shown, the NCMH was a site of recurrent struggle. Beers pushed the organization to focus on aims articulated from the grassroots — namely the reform of long-term care for the clinically insane — while the Foundation and scientific experts pushed for leadership by elite university-trained scientists in order to use the NCMH to extend psychiatry into everyday life. By 1919, the Foundation had won, turning the NCMH into a para-state organization that would form the basis of later public health initiatives. It enlisted the NCMH to the project of establishing links between criminality, social deviance, and the “maladjusted” personality. Meyer’s position was clear: “The mental hygiene movement should be directed only by neuro-psychiatric experts, and the public must be educated to accept and support these leaders.” Thus the NCMH’s initial popular movement for asylum reform was coopted by the shared vision of the psychiatric elite and their industrial patron. In the process, the NCMH was transformed into a campaign for preventing the diseases of maladjustment from developing. Increasingly in the 1920s, the goal shared by both psychiatry’s architects and their industrial patrons was to institutionalize the psychiatric science of adjustment as a central pillar of modern American democracy. But the nascent discipline faced ardent critics in the labor movement, who excoriated the New Liberal philosophy’s concept of an integrated social whole. When we want to maintain or rather create a modern democracy, it would I think, repay labor’s leaders and everybody to realize that the many manifestations of discontent feed on nonsatisfaction of personal desires which cannot be satisfied and should be transformed by recognizing them in their proper light . . . I think that we are all willing to admit that detractive, discouraging, and antagonistic tendencies are among the greatest enemies of efficiency in individuals as well as groups. Far from being safeguards of nature, they become dangers to psychobiological adaptation. Epidemics of discontent express themselves in the [labor] strikes and in the typical ways in in the various occupations such as the grumbling house servant, whenever we cultivate and encourage class feeling. Psychiatry’s founders secured institutional support by positing their new discipline as the answer to the problem of a radicalizing labor movement. Percival Bailey, the director of the Illinois State Psychiatric Institute, articulated this link in his 1917 article “Efficiency and Inefficiency — A Problem in Medicine.” He argued that the whole economic health of the nation rested on a solution to “the labor problem,” which itself hinged on “a psychiatric solution.” Thus, psychiatry’s survival rested on the active role it could play in the attempt to de-radicalize labor through the medicalization of worker intransigence. the stimulus of cheap oratory, of fiery propaganda, of dazzling promises of idealist conceptions . . . There are certain highly intoxicating social doctrines which hold out hopes for a new order . . . The new order is to be realized as soon as possible: persons, institutions, beliefs that stand in the way arouse keen resentments and, each man’s hopes and hates being reinforced by those of his fellows, a powerful force develops, which is the cause of much social rumbling. These theories take little account of biological or economic laws . . . and intoxicate workers in a way that is perhaps worse than a drug habit. The nation’s newly formed psychopathic hospitals scrutinized the pathologies of the worker: the Boston Psychopathic Hospital launched a 1914 study on “The Psychopathic Employee in Industry” that categorized fourteen different diagnoses for the unruly or fatigued worker. Psychiatry explicitly offered its industrial patrons tools for controlling labor. Only a few weeks after Black Tuesday in 1929, Yale opened its Institute for Human Relations funded by a $7.5 million grant (equivalent to $105 million today) from the Rockefeller Foundation. The goal of the institute was, by its own description, “to carry on research upon the basic problems of human nature and the social order,” splicing economics, anthropology, and sociology into a unified field of “human relations” affiliated under the capstone of psychiatry. Psychiatry’s survival rested on the active role it could play in the attempt to de-radicalize labor through the medicalization of worker intransigence. Among the primary goals of the interdisciplinary initiative was to create psychiatric techniques to keep workers from radicalizing. The Rockefeller Foundation poured money into the laboratory of Elton Mayo, whose research on how to keep workers from radicalizing directly spawned industrial psychiatry and, in its later iteration, organizational psychology. The Institute for Human Relations was merely one among a coterie of institutions for social science created through industrial philanthropists, chief among them Rockefeller, Ford, Russel Sage, and Carnegie. But Rockefeller was by far the largest funder, giving over $16 million (roughly $240 million in today’s terms) to psychiatry departments, numerous conferences and research initiatives, and individual grants for researchers between 1929-1949. By 1930, psychiatry had secured its institutionalization as a bona-fide medical specialty. Many of the Rockefeller-funded organizations — most notably the National Committee on Mental Hygiene — had been folded into federal and state agencies, with Rockefeller-funded scientists at their helm. After 1930, support for the psychiatric sciences — including neurology, neurobiology, neurophysiology, and neuropharmacology in addition to psychiatry — was taken over by university, federal, and military sources. But psychiatry’s initial establishment and institutionalization had required Rockefeller and other industrial patronage to build the requisite consensus around the new science. The emergence of US psychiatry harbored an essential anti-politics: the evacuation of any political struggle over the question of the social good and, in its place, the reframing of all mental distress as medical. This medicalization strategy directly resulted from the danger of radical demands for economic equality amid the excesses of the Gilded Age. Desperate to camouflage the real causes of widespread social despair, elites turned to the promise of psychiatry to disseminate a supposedly apolitical scientific expertise. It is no surprise, then, that the present moment — often termed the New Gilded Age, given the reappearance of similarly vast levels of wealth inequality — has resulted in a new psychiatric offensive. The current strategy features a new diagnostic paradigm called the Research Domain Criteria that explicitly insists that all mental disorder is primarily and fundamentally a biological disease. Federal initiatives like the 2013 Obama Brain Project — funded by a $3 billion collaboration between the National Institute of Mental Health, the National Science Foundation, the military, and a series of privately held companies — have embarked on the hyper-biologized quest to find the “location” of disorders like depression and anxiety within the individual brain. In this context, the role of “mental health” discourse in imagining a just future must be inflected through a historical critique of the role of psychiatry in diverting class war. It is only by historicizing the political function of the attempt to medicalize everyday distress — and to frame it as equally as biologically medical as severe psychotic disorders — that the contemporary left can both re-politicize emotional distress while avoiding the failures of the antipsychiatry of the postwar period. In the 1960s and ‘70s, the anti-psychiatry movement attempted to repoliticize madness, drawing in particular on the French critique of psychiatric institutions as expressions of normative discipline. It focused on severe psychiatric disorders (most notably, schizophrenia) as offering liberatory potentials that, if unleashed, could disrupt the tight linkage between state power, social normativity, and the welfare state. By the 1980s, this outright rejection of psychiatry for both severe and everyday mental disorder would unite strange bedfellows, with the ultra-left’s critique of psychiatry interlocking all too easily with the Right’s project to gut the welfare state. The resulting deinstitutionalization movement and transition to the “community mental health” model freed the state from devoting resources to the care of the severely mentally ill. Simultaneously, this shift prioritized a paradigm of privatized mental health in which individual citizens shouldered responsibility for non-severe, everyday problems like depression. By lumping both severe mental illness (such as florid psychosis or schizophrenia) together with the common varieties of medicalized affect (garden-variety anxiety and depression) and rejecting the medical basis of both, the antipsychiatry movement unwittingly colluded in the destruction of state resources for mental health care. The contemporary left must refuse the terms of the debate it has been handed by its enemies: that common ‘mental health’ issues are either purely biological, or only the fault of the individual. There is reason to be wary of the trap that the antipsychiatry of the 1970s and ‘80s fell into, in rejecting psychiatry’s validity for not just everyday distress but even severe mental disorder. Yet simultaneously, there is the danger of the inverse mistake: accepting the psychiatric paradigm for all emotional or mental distress. 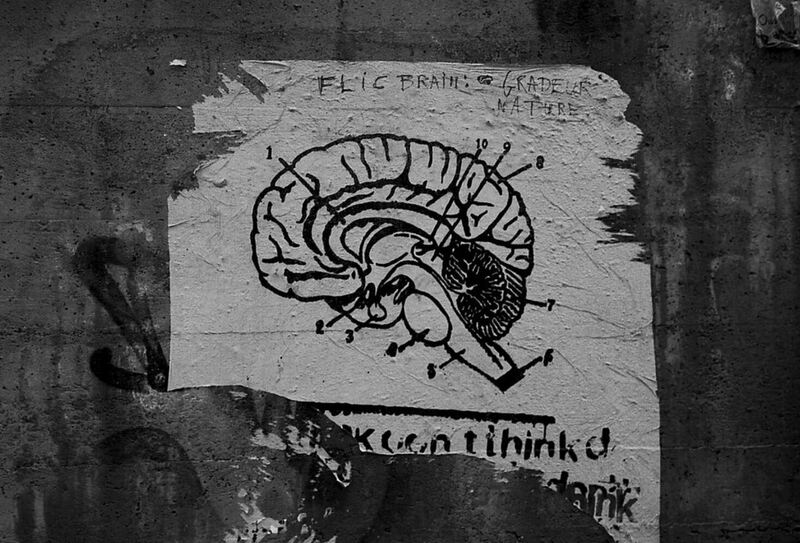 While remaining prescient of the limits of an earlier antipsychiatry’s efforts to politicize madness, the contemporary left must refuse the terms of the debate it has been handed by its enemies: that common “mental health” issues are either purely biological, or only the fault of the individual. What this false binary occludes is the pressing need to critically appraise the apolitical language of mental health as the defining paradigm for pervasive political emotions of hopelessness, stress, despair, and anxiety. The contemporary demand for universal coverage for “mental health,” as for physical health, frames itself as radical, yet the limits of its imagination are evident when we look at the historical emergence of mental-health discourse. Progressive Liberal elites proposed, as the cure for social disharmony, the state care of the mentally ill and the broad extension of the newly formed discipline of psychiatry. The broad application of state-funded care was a small price to pay for the real victory that they achieved: the creation and dissemination of a discourse that medicalized social problems, framing them as individual and medical rather than collective and political. Zola Carr is a doctoral candidate at Columbia University, working on a dissertation on the development of experimental brain implants for psychiatric disorder.